The partners represent four of the largest and longest-standing organizations dedicated to conserving mountain environments, providing quality outdoor education, and advocating for climbers throughout America. As the United States' representative to the UIAA [International Climbing and Mountaineering Federation], the American Alpine Club will be leading and facilitating the work, and will ensure that these new standards are internationally recognized by the global climbing community. "For years the position of the AAC has been to let regional clubs do the education," AAC CEO Phil Powers said. "We want to make it so that if you take Intro To Rock Climbing in New Hampshire you can go to California and what you learned will align with what they're teaching there." Powers anticipates that it will take about 10 years for the standards to catch on and be implemented nationwide. "Climbing gyms won't necessarily adopt our techniques automatically," he said, pointing out that gyms are privately owned and subject to their own rules and methods. The new standards will be adapted from a lot of what the UIAA currently uses. The UIAA guidelines are instructor standards, which don't apply to end-user standards, Powers explained. In other words, certified guides, for example, are taught how to do things such as rope handling and belaying in very specific, standardized ways, but there is no standardized method for how new climbers are taught. "The belay standard is probably the only end-user standard we'll implement, but one thing that's universal for all types of climbing is belaying," Powers said. "We'd like to make belay techniques and communication more standard." Powers agreed that a common cause of accidents has been when climbers have different assumptions about the meaning of a signal or command. There are documented cases in which a climber made a thumbs-up signal at the top of a climb, intending for the belayer to lower him, but the belayer assumed it was a gesture to take the climber off belay. "The topic of climbing education does have some controversy surrounding it," said Whitney Bradberry, a spokesperson for the AAC. "Anytime you create change, there is pushback. On this particular partnership, with the three other mountain clubs, we've seen a lot of support from our constituency. The Club is dedicated in supporting climbers' education and creating shared and consistent climbing standards for climbing and mountain sports. Thisis a momentous step in that direction." "We all care about introducing the next generation to the great outdoors and we have a responsibility to do it safely and effectively," Powers said. "This partnership, with four prominent U.S. mountain clubs, promotes the AAC's vision of a united community of competent climbers and healthy climbing landscapes. In the vertical world, combinations of seemingly insignificant errors add up quickly—competence matters." In the past decade the popularity of climbing in the U.S. has increased dramatically, creating a demand for quality climbing instruction. 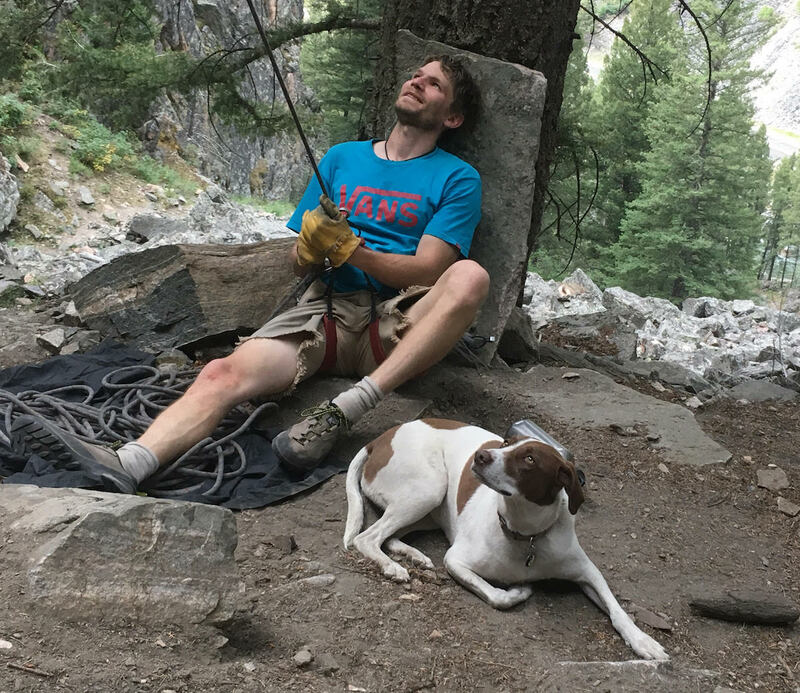 "These standards aim to ensure that the entire climbing community benefits from better training and will ultimately make climbing more accessible to everyone," Mazamas Executive Director Lee Davis said. "The Colorado Mountain Club is thrilled to be formally partnering with other influential mountain clubs to assist in the development and dissemination of new mountain skills training standards in America," CMC Executive Director Scott Robson said. "By coordinating our efforts nationally, we raise the bar in regards to the quality of education that organizations like the CMC provide and we look forward to the positive impact these standards will have on our members and all of those who recreate in the mountains for years to come." "We have the opportunity to extend the impacts of our organizations by working together," The Mountaineers CEO Tom Vogl said. "Each mountain club currently has a hand in stewardship and advocacy," Bradberry said. "We see a great opportunity to strengthen our voices in the public policy space by speaking together. We currently partner on some issues but intend to further coordinate efforts in the future." The American Alpine Club is a 501(c)(3) charitable organization whose vision is a united community of competent climbers and healthy climbing landscapes. Together with [its] members, the AAC advocates for American climbers domestically and around the world; provides grants and volunteer opportunities to protect and conserve the places we climb; hosts local and national climbing festivals and events; publishes two of the world's most sought-after climbing annuals, the American Alpine Journal and Accidents in North American Mountaineering; cares for the world's leading climbing library and country's leading mountaineering museum; manages the Hueco Rock Ranch, New River Gorge Campground, and Grand Teton Climbers' Ranch as part of a larger lodging network for climbers; and annually gives $100,000+ toward climbing, conservation, and research grants that fund adventurers who travel the world. Learn about additional programs and become a member at americanalpineclub.org. The Colorado Mountain Club is the state's leading organization dedicated to adventure, recreation, conservation and education. Founded in 1912, the CMC acts as a gateway to the mountains for novices and experts alike, offering an array of year-round activities, events and schools centered on outdoor recreation. The Club comprises 13 regional groups across the state to serve the local needs of its members and partners. To ensure the continued enjoyment of Colorado's pristine places, the CMC also leads efforts to protect wild and public lands with its conservation and stewardship programs. The Club publishes a quarterly magazine, Trail & Timberline, and operates a press with 50 current titles. No other organization in the Intermountain West employs such a strong or broad approach to connecting people with the Rocky Mountain landscape. The Mazamas promotes mountaineering, responsible recreation, and conservation through outdoor education, youth outreach, and advocacy programs. Founded on the summit of Mt. Hood, and headquartered in Portland, Oregon, the Mazamas has been working to represent and support everyone who loves to play in and protect the mountains of the Pacific Northwest for more than 120 years. The Mazamas operate one of the largest centralized mountaineering training schools in the country, graduating more than 500 people per year with basic to intermediate level climbing skills. The Mazamas also have a robust grant program that distributes more than $50,000 per year through conservation, research, and expedition grants. Members enjoy priority access to programs, domestic rescue insurance, and the opportunity to apply to our larger grants, including the $10,000 annual Bob Wilson Expedition Grant. Additional programs include classes in outdoor leadership, expedition planning, nordic skiing, ski mountaineering, wilderness first aid, and a variety of outdoor skill building courses. You can learn more about the Mazamas and start your adventure at mazamas.org. The Mountaineers is an organization dedicated to helping people explore, conserve, learn about and enjoy the lands and waters of the Pacific Northwest and beyond. Founded in 1906, the 12,000-member Mountaineers community offers thousands of volunteer-led courses, activities, and events to connect young and old, novice and veteran, to the power and wonder of the natural world. The Mountaineers' advocacy program is Washington's leading voice for protecting the wild places where we play. Mountaineers Books expands passion for the outdoors internationally through award-winning publications, including instructional guides, adventure narratives, and conservation photography. Learn more at mountaineers.org. Please, oh please coordinate with a Newtonian physicist and tribologist. American Climbing safety is dominated by the AMGI, a group that likely consists of flat earther's and climate change deniers given their constant desire to ignore basic principals of the natural world we live in that involve the field of gravity.